The LUNAR 9’9″ air paddle board inspires adventure with its beauty and eye-catching design. 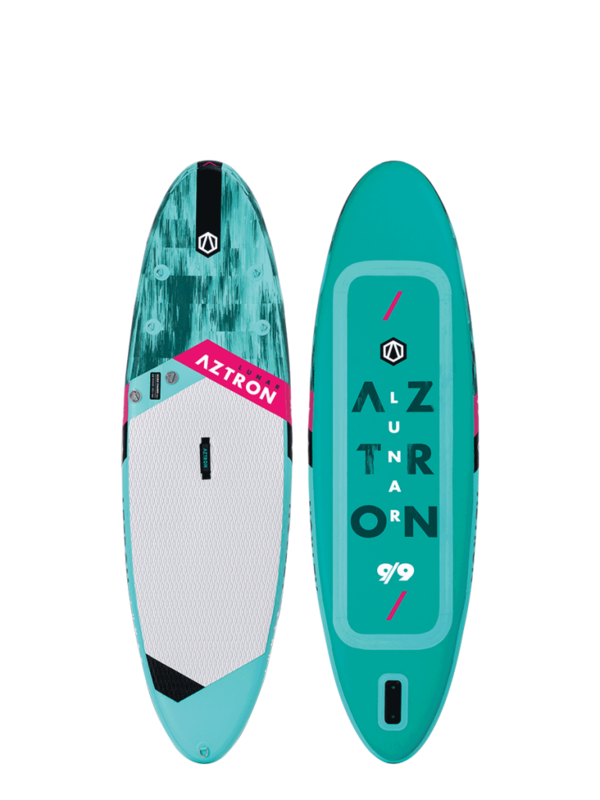 The classic all around SUP shape and the extra width at 32″ gives it excellent stability, great tracking and easy paddling experience for any paddler, of any skill level a great time on the water. The smoothed out, progressive rocker provides a maneuverability and all-around performance in any flat water. Constructed with Aztron’s signature Double Chamber technology and premium drop stitch core material for ultra-stiffness and durability, the Lunar air board is absolutely more rigid yet remains lightweight for easy transport. What do you think about the Aztron LUNAR All Round Double Chamber 9’9″x32″ (2019)?